Auckland is home to the worlds first harbour bridge Bungy Jump and is operated by the Bungy originals – AJ Hackett Bungy. As part of the Bungy experience you’ll enjoy an exclusive bridge walk out to the specially-constructed and sensationally-suspended retro ‘Bungy pod’. It’s here you’ll build up the courage to leap out over the Waitamata Harbour. Once airborne take time to enjoy the views of the harbour, that is if you can keep your eyes open long enough. There’s a variety of Bungy options available with the optional ‘water touch’ being the favourite. 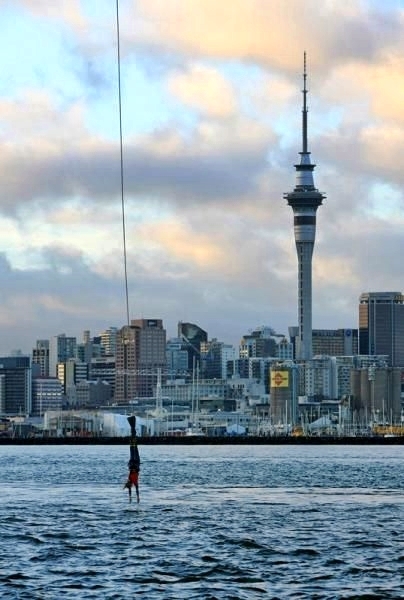 We believe you won’t be able to capture the true spirit of Auckland without giving this Bungy a go. • Equipped to offer EVERY Bungy option – ankle tie, harness jump or tandem!